Born and raised in the Philippines, John moved to Alberta, Canada 8 years ago, learning Tagalog, English, French, and his heritage languages Ilocano and Kapampangan along the way. Since finishing a BA in Anthropology in 2016, he has taught English and French in the Montréal area, and recently started an MA in Applied Linguistics. He is interested in investigating the intersections and interactions of language (use, pedagogy, and acquisition), culture, and identity. For more about John, see our Active Members page. “Stunned’” prevails as the most accurate adjective to describe how I responded. Rather than replying to my job interviewer, I remember entering my head instead, my thoughts a flurry of questions hitting my face one after the other, each confusing me more than the one before it. What? What did he mean exactly? But, I am Canadian. My nationality has something to do with my teaching skills? You can’t teach English if you’re not, like, Canadian? Is he asking me this because I wasn’t born in Canada or because of my skin colour or both? Or, wait… How long have I been in my head? Probably way too long because I didn’t get the job. I am better off, though, I thought to myself. Why would I want to work for an international language school that seems to prefer to test how their teachers will respond to outdated biases surrounding second language (L2) teaching instead of making sure to take innovative steps to bring said biases down, and making sure that their potential students know about their stance? It wasn’t really about wanting to work for them, though. The real question is: Why (in 2017!) does the hiring process of L2 teachers still involve such interview questions—especially in a multilingual, multiethnic and multicultural country like Canada? 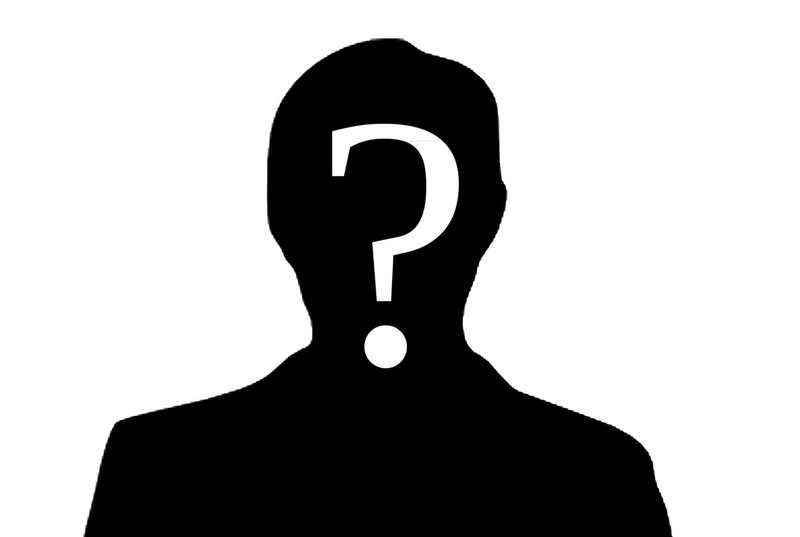 In short, in such a diverse setting, who is this L2 teacher they’re looking for? Fittingly enough, on the day of my 8th anniversary in this country, I sit down to reflect on these questions as a non-native speaker, non-native born language teacher whose very profile has shaped my experiences and belongingness in the field of second language acquisition (SLA). 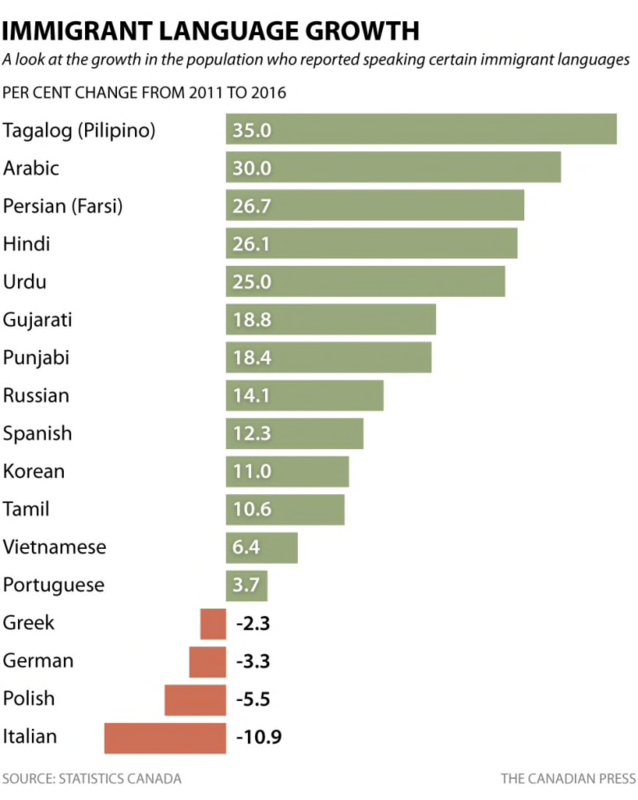 Since my immigration to Canada in 2010, the number of Canadians who reported speaking an immigrant mother tongue rose by about a million: 19.4% of Canadians—a 17.5% growth from 2011 to 2016—reported speaking more than one language at home, 7 out of 10 of whom speak a mother tongue other than English or French (Statistics Canada, 2016). For language educators and professionals, surely this is great news. Counterintuitively, however, it seems that most mainstream language education is still very much monolingually predisposed (Piccardo, 2013). But why do we ignore the existing diversity in our citizens’ cultural and linguistic repertoires, especially in second language teaching? Was the school in Calgary for which I interviewed wrong to ask potential applicants what I was asked? Not exactly. For example, studies from across time and countries show that students generally prefer native language teachers over non-native teachers, or that students report higher self-motivation to learn the target language when taught by a native teacher (Lasagabaster & Sierra, 2002; Pae, 2017). This is most likely because language education insists on measuring L2 learners against the idealized native speaker, with the end goal of achieving the competency of this native-speaker model. The problem with this goal, however, is two-fold (Cook, 2002). First, while some might argue that a native-speaker is someone who has been speaking a language since early childhood, the reality stands that the representative native speaker is essentially chosen for reasons of social status, most likely based on their ability to speak a standard, “educated” form of a language. Second, native speakers do not possess a fixed list of attributes that non-natives should attempt to acquire; indeed, some native speakers are just as dysfluent as any non-native. In retrospect, it’s now plain to see the intricate ironies enveloping the interrelationship between nativeness and second language instruction, expressly in my own teaching experience as a language monitor. Between 2016 and 2018, I served as a teaching assistant in a francophone Cégep on the south shore of Montréal, in charge of designing and facilitating conversation workshops for beginner and intermediate students of English as a Second Language (ESL). I was hired under a federal program that aims to promote English-French bilingualism across the country. In brief, the program seeks anglophone Canadians to help teach English in francophone provinces and francophone Canadians to help teach French in anglophone provinces. Notice, though, how this description alone recalls the difficulty of defining the native speaker. The online Collins Dictionary (2018), for example, simultaneously claims that ‘anglophone’ means English-speaking, but that it also means English-native. While I might be an anglophone in the former sense, I am definitely not in the latter; in fact, I never use the latter to describe myself, and neither do my native-speaking, native-born colleagues. I was, after all, the NNS (non-native-speaking) colleague who achieved the native sound. For the program, I was the model non-native whose language performance mirrors that of the native English speaker, and whose language gains could inspire what my students should aim for. I, again, found this similarly problematic. I knew firsthand that I still commit so many mistakes in spoken and written English – I am no way a model to aspire to. Further, my parents, whose proficiency in English pales in comparison to my more “native-sounding” speech and writing, still acquired sufficient communicative language to allow them to be well-integrated and employed in an anglophone city¾regardless of their non-native-like accent and grammar. Should they not be good enough models then, especially for students who might not even wish to live or work in an English-speaking setting in the future? Moreover, what strikes me as equally problematic are comments such as “You sound like you were born here!” Somehow, since the degree of my abilities in English has approached nativeness, I must have been born and raised in an anglophone city where I learned to speak English from early childhood. It’s almost as if this is the only way to acquire the native sound. Evidently, this is contrary to my case, and to most non-native but highly proficient language speakers. That leads me to wonder: As language educators, are we teaching L2 students linguistic skills modeled after the idealized native speaker to help them successfully participate in their new linguistic environment? Or are we teaching them that the only way for them to belong and function in their new environments, if they do not look like the native speaker, is to sound like the native speaker? Ironically, I cannot claim to be free of this hubris of wanting to be like the native speaker. I much prefer remarks such as “You sound like you were born here!” or “Tu viens d’arriver de la France?” over “Your French has a Hispanic accent.” Forget about the fact that I do not even speak Spanish (although my looking like a Latino might have something to do with that), the point holds¾even language teachers are subjected to the pressure to fit the idealized profile of a native speaker. Ultimately, the reality continues to be that both L2 learners and teachers, especially immigrants, use language as a tool to (re)define their identities as outsiders or insiders. With the short time I have spent so far in an MA program in Applied Linguistics, I have been exposed to the growing literature concerning this phenomenon. For one, there’s emergent SLA research and resources on theories and concepts such as translanguaging and plurilingualism, as well as practices in inclusive ESL classrooms that validate, accept, and capitalize on the learners’ linguistic and cultural identities. And since growth in student diversity logically affirms growth in teacher diversity, it’s no surprise that there’s also increased research on L2 teacher identity. The future of language education is gradually but surely moving away from an idealized native speaker model to a non-native speaker, non-native born profile—at least in terms of the field’s face, if not yet in terms of its policies. It’s a future that will eventually no longer profile the language teacher as someone who “looks” and “sounds” like the language they teach or speak. Lasagabaster, D., & Sierra, J. M. (2002). University students’ perceptions of native and non-native speaker teachers of English. Language Awareness, 11(2), 132-142. Pae, T. (2017). Effects of the differences between native and non- native English-speaking teachers on students’ attitudes and motivation toward learning English. Asia Pacific Journal of Education, 37(2), 163-178. Piccardo, E. (2013). Plurilingualism and curriculum design: Towards a synergic vision. TESOL Quarterly, 47(3), 600–614.